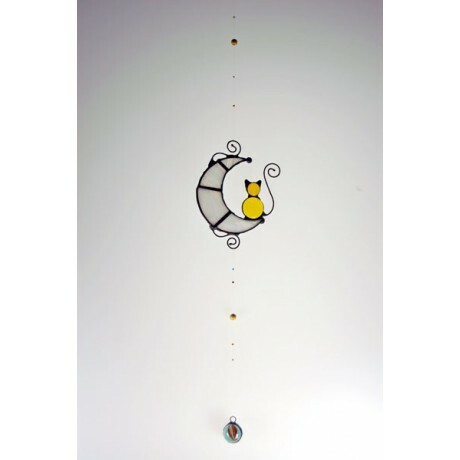 Decorative mobile composed of: White opalescent glass moon and cat made of rounded pearls in a kiln. 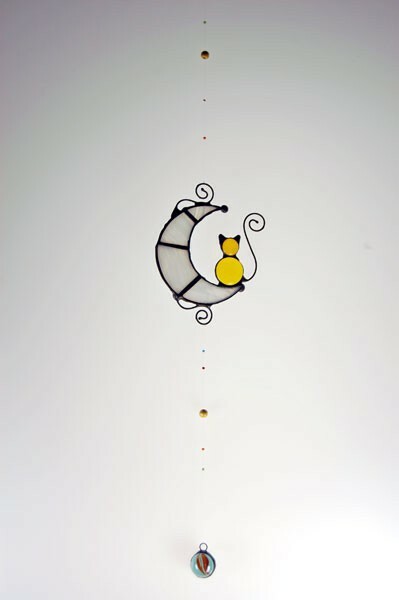 A glass sphere hangs from the moon by a decorated silk string. Finished with wire of different thicknesses that goes through three processes: tinning, patining, and antioxidation. Price 33,80 € tax incl.